Fire constantly threatened early Spokane. The city suffered a major conflagration in 1889, but many smaller fires have struck over the years. 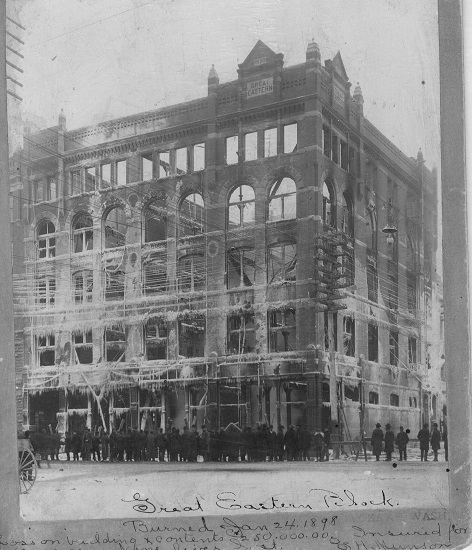 The Peyton Building was built to replace the Great Eastern Building, which was destroyed by a fire on January 24, 1898. The arid basement of John W. Graham & Co. caught fire. For a store that sold books, stationery, office supplies, wallpaper, and photographic equipment it did not take long until it was engulfed in flames. Seven people died. 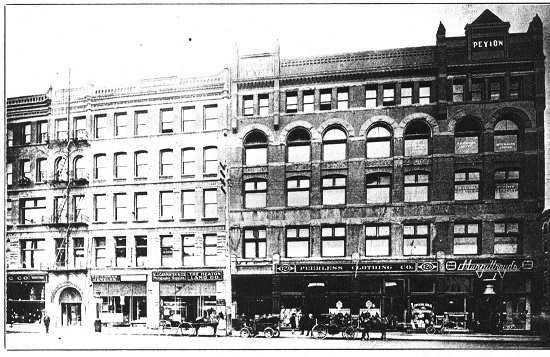 Not much of the Great Eastern Building was left, except for some external walls and unrecognizable columns. These charred remains were revitalized and incorporated into the construction of the new building in 1898. The new owner, "Colonel" Isaac N. Peyton had a fascinating life. He was born in 1842 in Illinois and was a lieutenant during the Civil War. He traveled to Spokane in 1881, abandoning his wife back east, and was soon successfully invested in real estate and mining. 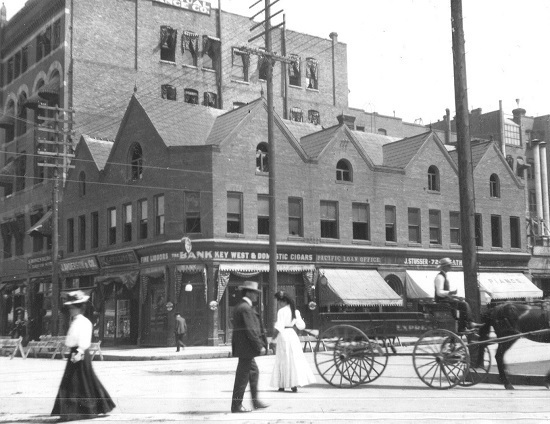 After purchasing the charred remains of the Great Eastern Building, Peyton hired one of Spokane's premier architectural firms, Cutter & Malmgren, to make his dream a reality. 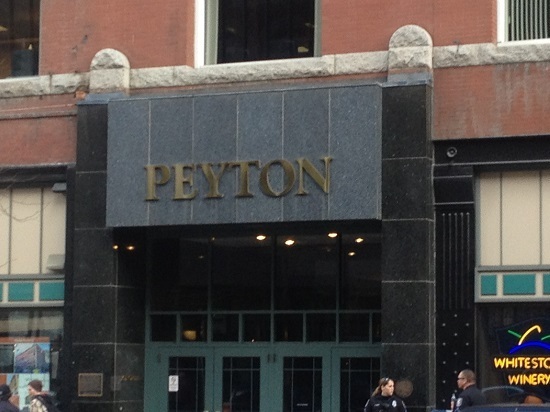 Peyton was not a modest man and his building reflects that. If you look directly above the main entrance, "Peyton," is carved on the structures frieze and his initial "P" is engraved into each pilaster. The Peyton Annex was built in 1908 as an addition to the seven-story Peyton Building. Designed by architect Robert C. Sweatt, the two buildings were designed to basically be one structure. Known as the "million-dollar corner," this demanding site in front of you has built a reputation as a high end commercial building. The storefronts have been altered by numerous tenants over the decades. 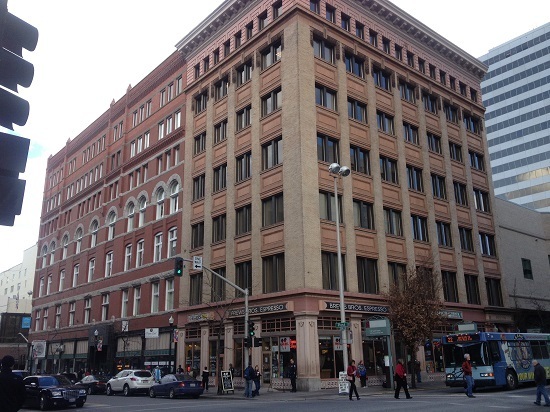 In 1988-89 the building underwent restoration in hopes to attract more tenants. 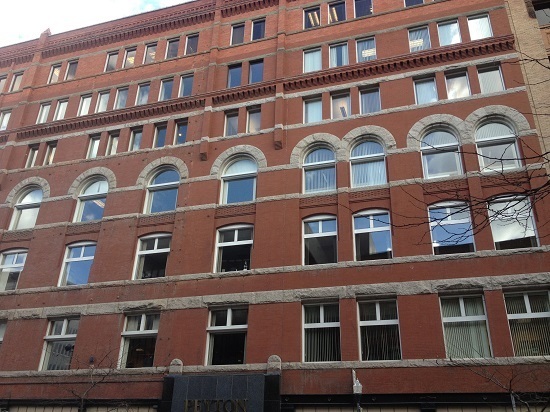 The Peyton Building and Peyton Annex is one of several large historic commercial buildings still in use today in Spokane's downtown. 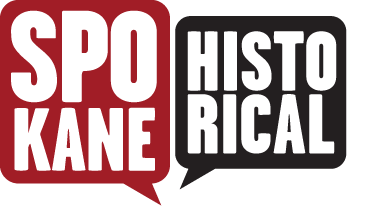 For more information on the fascinating life of Peyton, listen to the audio file of local historian, Jim Price, included on this stop. 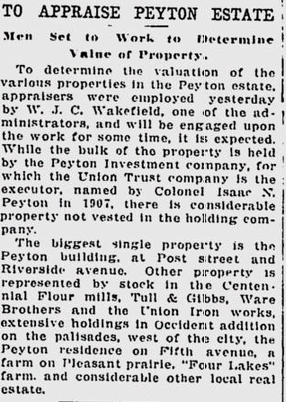 Lacey Sipos, “Peyton Building and Annex,” Spokane Historical, accessed April 24, 2019, https://spokanehistorical.org/items/show/331. Durham, Nelson Wayne. History of the City of Spokane and Spokane County, Washington: From Its Earliest Settlement to the Present Time. Vol. 2. S.J. Clarke Publishing Company, 1912. Hyslop, Robert. Spokane's Building Blocks. Spokane, WA: Standard Blue Print Co. Inc., 1983. Sullivan, Michael. "National Register of Historic Places Registration Form: Peyton Building and Annex." National Park Service, November 15, 2004.